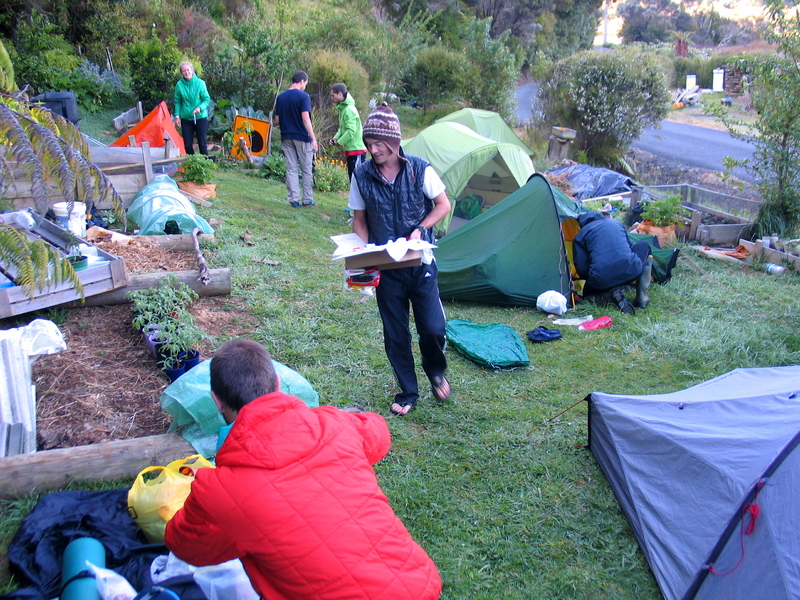 To say The Te Araroa Trail is the same as saying The the Te Araroa Trail trail. It is correct to say I am hiking Te Araroa or I am hiking the long path which is a translation from Maori. We live one kilometre past Papaka Road on Ngunguru Road. That is .003% off trail. Disregard the No Vacancy sigh if you wish to camp. The sign is for the B&B. 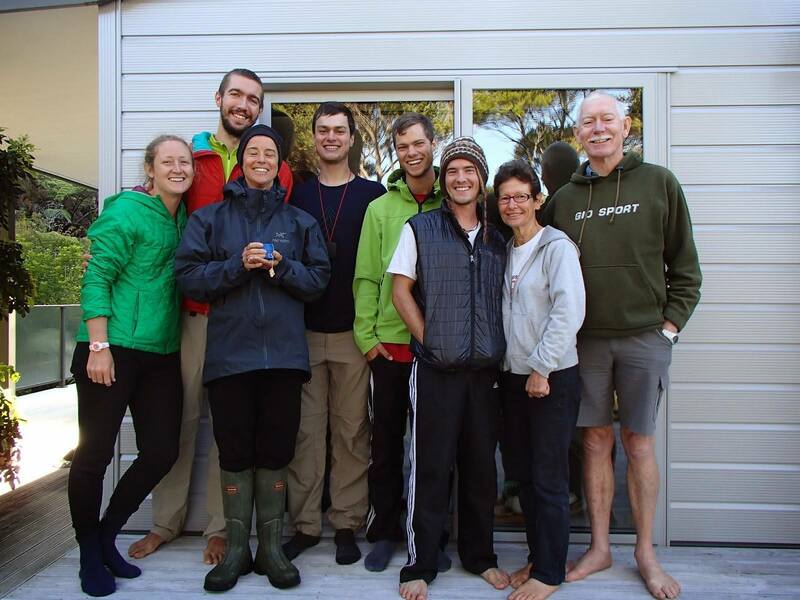 We always have room for Te Araroa hikers. 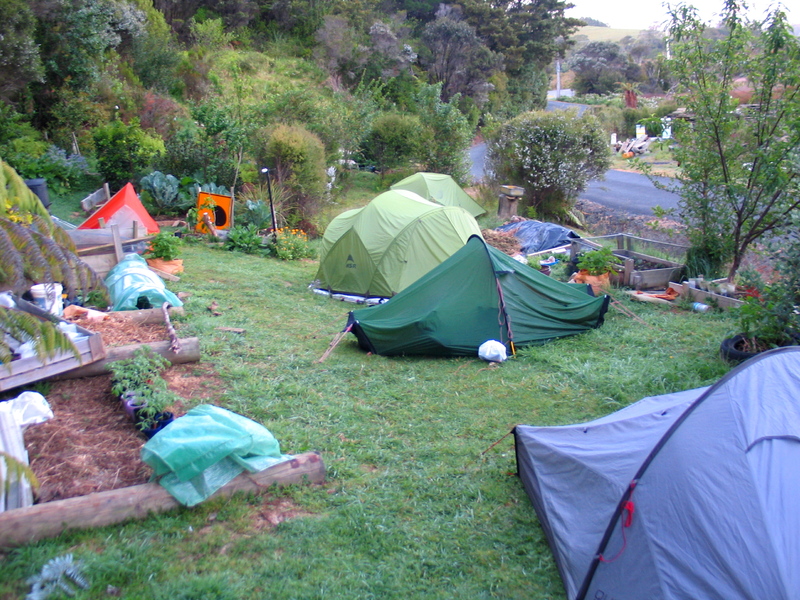 We offer a complimentary evening meal to Te Araroa hikers who book and stay at The Riverbank B&B. Call us. Check our Booking Calendar for availability and prices. 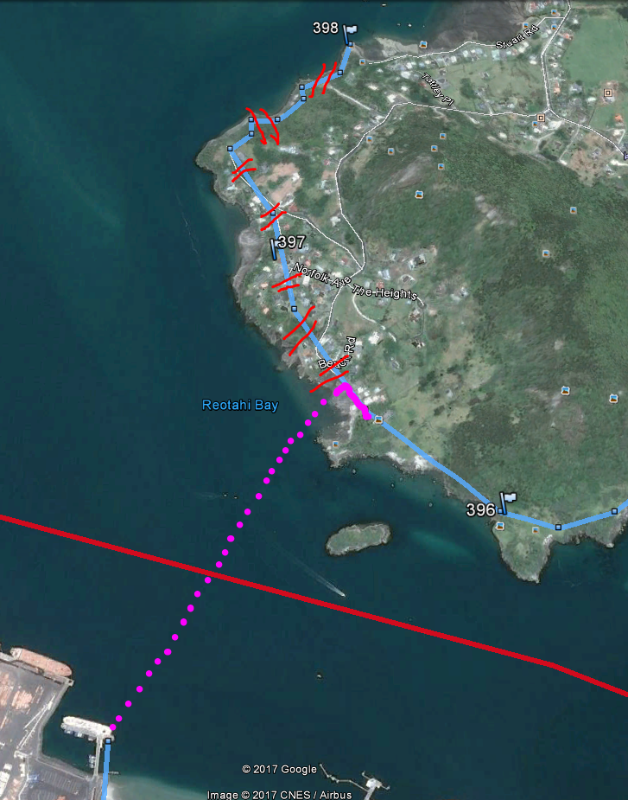 Sea Kayak Bypass - The Riverbank is also a suitable pick up point for Mark Garry's sea kayak route to Pataua. Mark knows our place. Visit http://www.nzseakayaking.co.nz or Email pc.kayaks@gmail.com or phone M: 021 129 5921 T: 09 436 1947 to arrange a pickup. 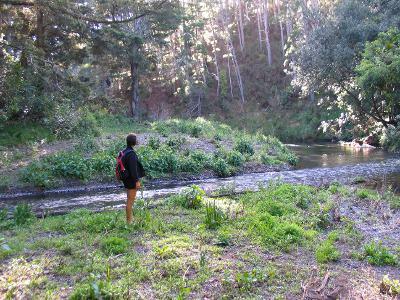 Photos above are of the Mackerel Forest Track - Waitangi River Crossing. Always easy. The other stream is even easier. - Tidesong. Taiharuru Estuary. Planning to stay with Ros and Hugh. When walking in this estuary walk right out in the water at low or near low tide. That avoids the mud by the mangroves. After rounding the point and heading South West toward Km368 cut in behind the mangroves and walk the sandy shoreline until you meet the drive to the houses opposite Km368. Follow the drive onto the end of Beasley Rd where you will find the entrance to Tidesong on the left. See the picture at the bottom. Deep mud between Km 366 and 368.To avoid the mud after entering the estuary head straight South East to Pukemanu. KM367(The rocky point) On rounding that follow the two white markers out on the sand bank. Don't follow the mangroves or shoreline. After rounding the next point stay right out in the water well away from the mangroves. Follow the orange markers to the white cliffs on the South East side of the Estuary. If heading for Tidesong walk out as far into the water as possible to avoid the mud near the mangroves. Once you round the bend and head south cut into the sandy track on the inside of the mangroves. Follow that until you can exit onto a drive. Follow that onto the road and you will see the Tidesong entrance on the left at the first road bend. - Ocean Beach. Water at the toilet block at the carpark. - Urquharts Bay. Drinking fountain by the toilet block as you exit from the Smugglers Bay track. Note that the trail no longer goes to the McLeods Bay Wharf. See the picture below right. Ruakaka River. The river is crossable at low tide but unreliable due to flooding and moving channel. Do not follow the GPS trail. Too deep. Best to cross at low water following the shore by the sea. Better still is to go off trail to the Ruakaka town centre and small supermarket for provisions and your next fish and chip stop. 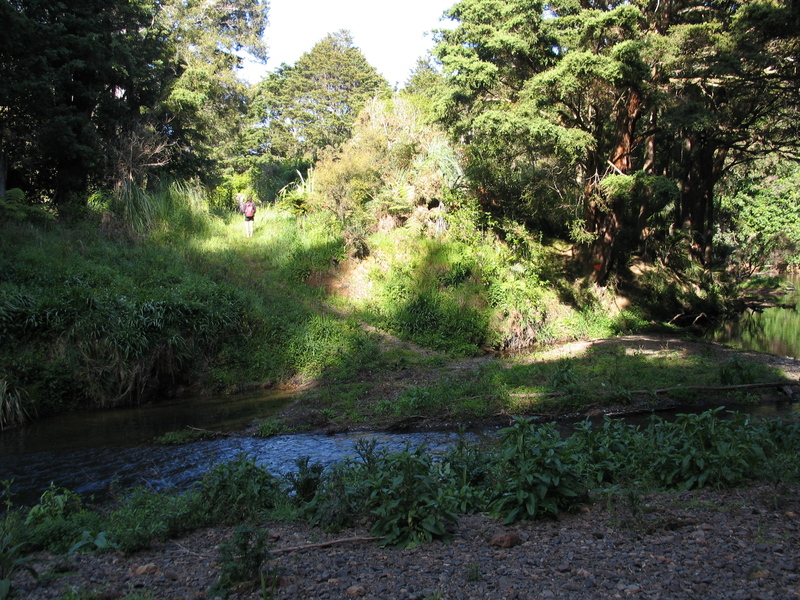 Exit the trail onto Te Kamo St, Karawai St, Tamingi St and Peter Snell Rd to the shops. 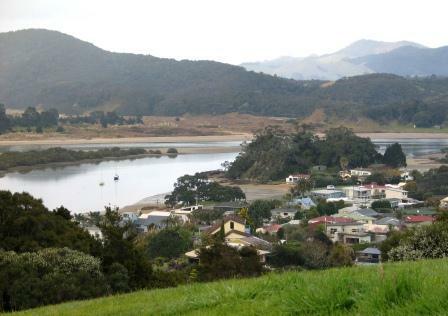 Then walk south 3.4Km on Marsden Point Rd to Ruakaka Beach Rd and back on the trail to the motor camp. 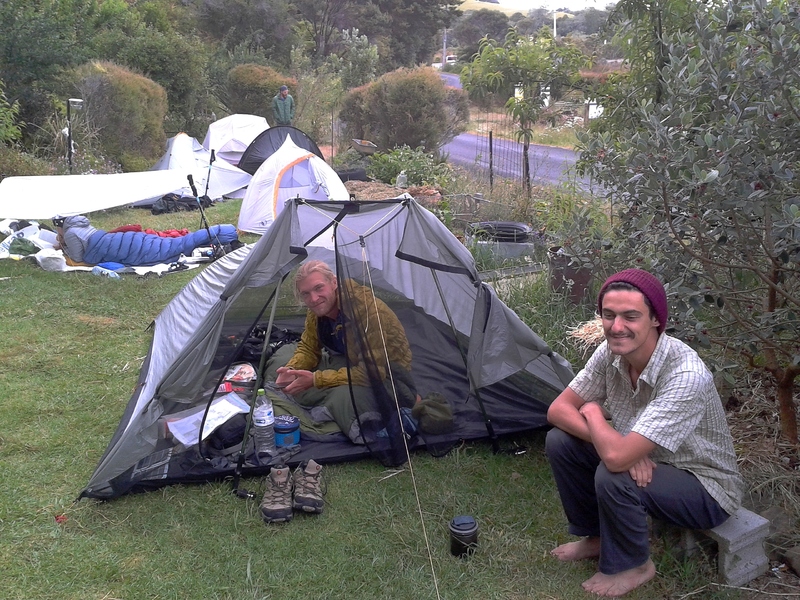 Alternatively you can call Simon from Ruakaka Kayaking who lives on Princes St on the South side of the river. By pre-arrangement he may be able to collect you with kayaks. Ph 09-432 8668. You can camp on his lawn also. Next stop is at The Pizza Barn for a Pizza and local beer at Waipu.